Belle maison de luxe avec piscine et jacuzzi dans une cour isolée. Superbes vues sur la ville et la montagne de tous les domaines. Koi étang avec une cascade qui attire la faune, y compris de nombreux oiseaux. Divers belvédères. Grande cheminée Sante Fe. Cette maison offre tout cela tout en étant proche du centre-ville de Tucson, University of Arizona, quartier des arts et de shopping. La maison est à quelques minutes en voiture du parking principal de la nouvelle voiture moderne de Tucson! Towering géant cactus Saguaro sur la propriété! 1. 4 acres. Situé à la base des montagnes de Tucson dans les contreforts occidentaux. Incroyable vue sur les chaînes de montagnes de Santa Catalina et Rincon. Il y a une TV LCD Smart TV de 40 pouces à l'extérieur dans le patio avec beaucoup de chaînes de sport et de cinéma, etc. Great stay at a private but convenient location. Tony was super responsive and stays in the guest house on the property. 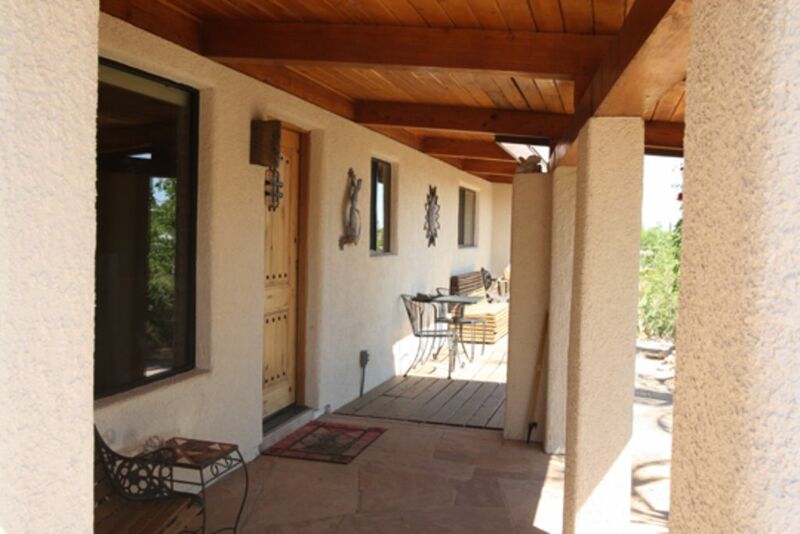 Hummingbirds and sunrise mountain views as well as a large patio for stargazing! Tony responded very quickly to our questions. Close to Downtown and University. We had a great golf getaway. We stayed in the property six weeks during the 2018-19 winter. We enjoyed our time in Tucson. Tony tried hard to meet our needs at the property. The house was was very clean and in excellent shape. Tony is always responsive if needed. We had an excellent stay. The house was clean and the kitchen was well equipped. There was a fairly new grill and the propane was full. The hot tub was clean and a good temperature. I would highly recommend this place. We thoroughly enjoyed our visit at Tony’s property. He was extremely helpful and knowledgeable about the Tucson area for sightseeing opportunities and restaurants in the area. This property will not disappoint!!! Thank you, your group was very nice and I always get a little extra reward when I get to have parents visit their children going to U of A and the kids get to enjoy the home too. I am in the process of upgrading some of the beds. I stay on top of this type of thing as much as I can considering this is a very popular home and almost always booked. These rate apply for at least a 3 week minimum. It is somewhat negotiable. Certainly no 1 week or 5 day requests will be approved. This home is 2 miles from TCC and most of the smaller shows. Thank you.